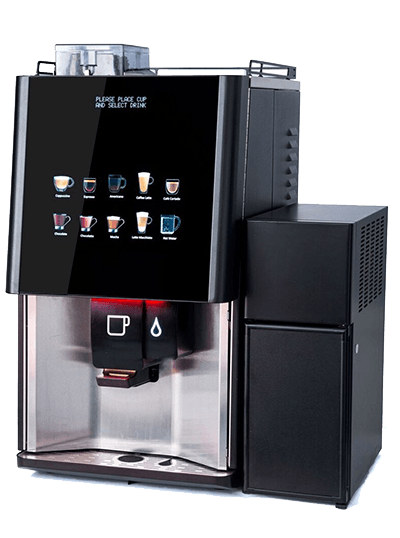 No matter what your requirements are, Options Management has the hot drinks machine to suit your needs and location. Whether you are a fast-paced call centre where quality drinks are needed in an instant, a waiting room that features refreshing solutions or a café with plenty of regulars, we have a machine that will prove popular with users. Have a look through our range of free-standing and table top machines and when you see one that you fancy, don’t hesitate to contact the team from Options Management. Keeping your staff and customers happy is important. A snack and food machine will not only do this, but also boost morale and ensure that all cravings are satisfied. When you want to provide chocolate, crisps, sandwiches, canteen-provided meals and many more options, we have a machine that will suit exactly what you need. We boast a variety of snack machines to meet your specific requirements as a business. Offering a refreshing source of water is an important service for any location and our range of water coolers and dispensers will not disappoint. When you are after a basic machine or something with a little more character, we have exactly what you need as our machines can be adapted to fit almost any application. Ensure that your staff are fully hydrated by choosing one of our quality water coolers with user-friendly features. From compact cold drink vending machines and coffee machines to complete vending suites including food, snacks, and confectionery, we offer the widest possible choice, using the most modern and reliable machines and vending ingredients of the highest quality delivered daily. Options Management specialises in first-class vending machines that make a significant difference to your commercial surroundings. Our systems will generate significant income, servicing an exciting range of quality snacks, meals, and drinks. Do not be surprised, for example, to find both freshly prepared and frozen food and the best quality ingredients as standard. Providing 24-hour availability of a wide range of products, vending may be cash-operated or nowadays increasingly, cashless. In addition, Options Management is leading the introduction of automated recycling of used vending containers and litter in the workplace. We aim to provide refreshing vending solutions at affordable prices. Contact us to find out more about our vending and coffee machines.